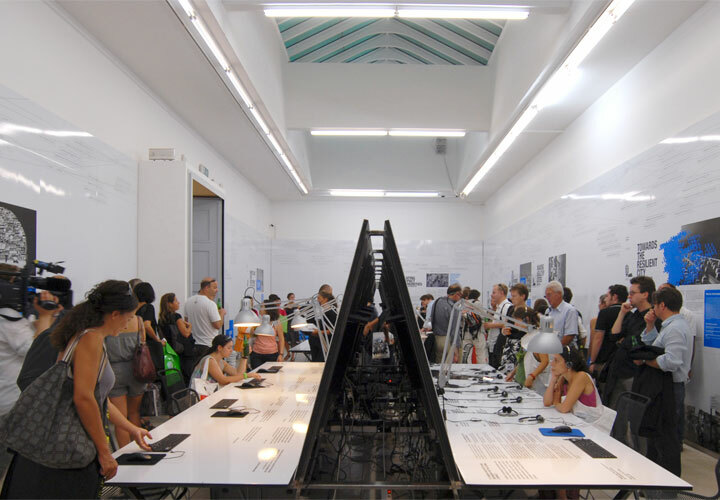 The VB08 project was an exhibition co-operation between DAC and CEBRA at the 2008 Venice biennale. 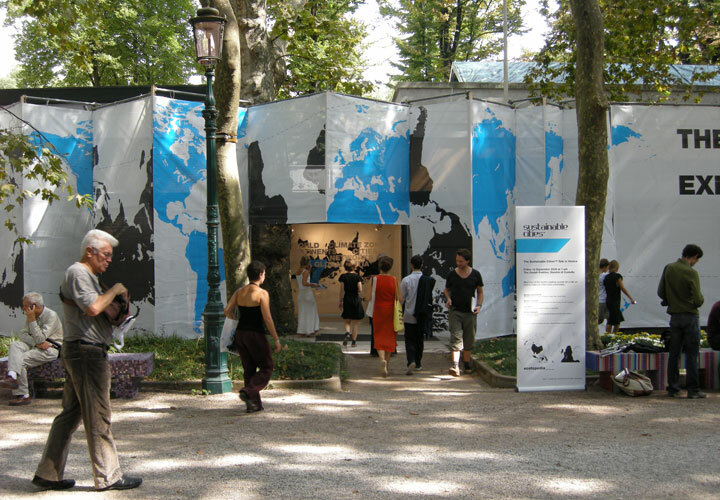 The show was held in the Danish pavilion, a building consisting of three connected spaces. 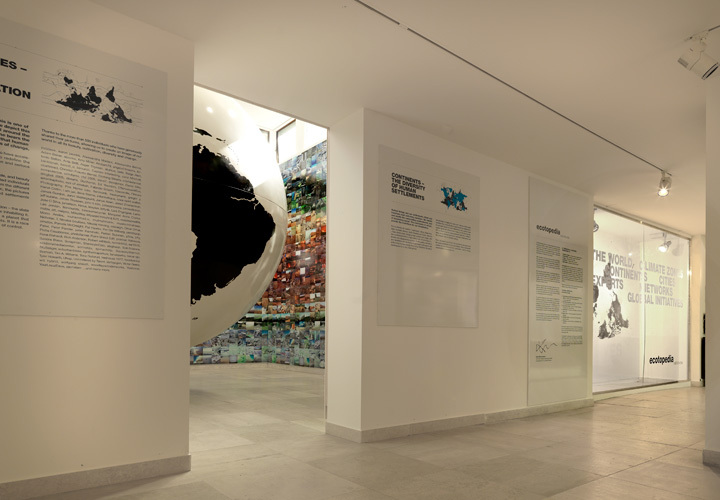 The first room served as an introduction space in which the state of the planet and the challenges of mankind were visualized. 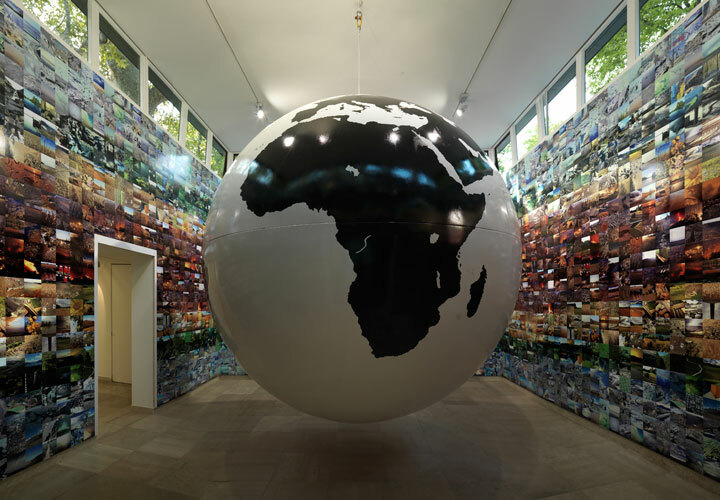 The walls around a giant globe were covered with thousands of pictures donated by photographers from all over the world. 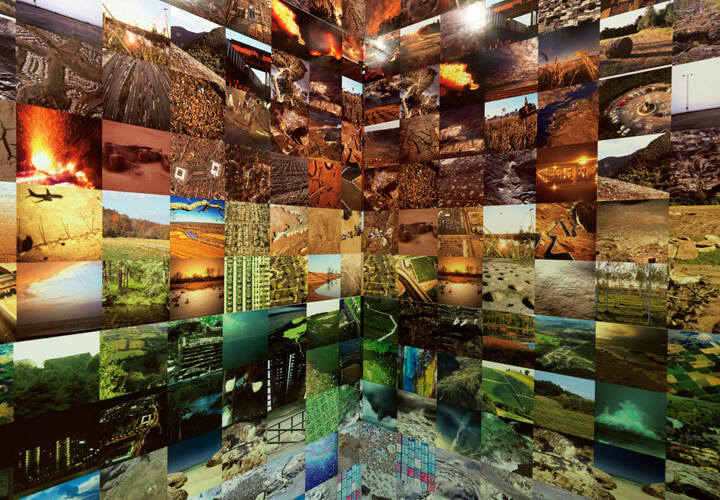 Depicting nature and the impact of man, these photographs were arranged by color according to the seven climate zones. 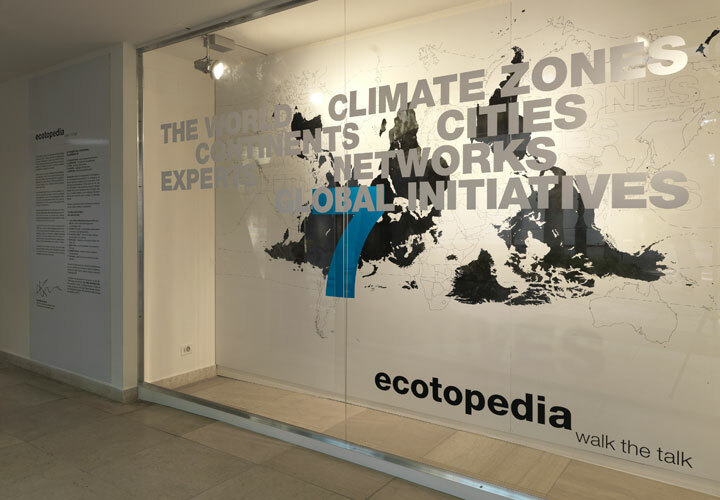 In the second room, a link between the main spaces, the Kyoto protocol was displayed on the walls, the ceiling and the floor and represented the international attempt to do something to meet these challenges. 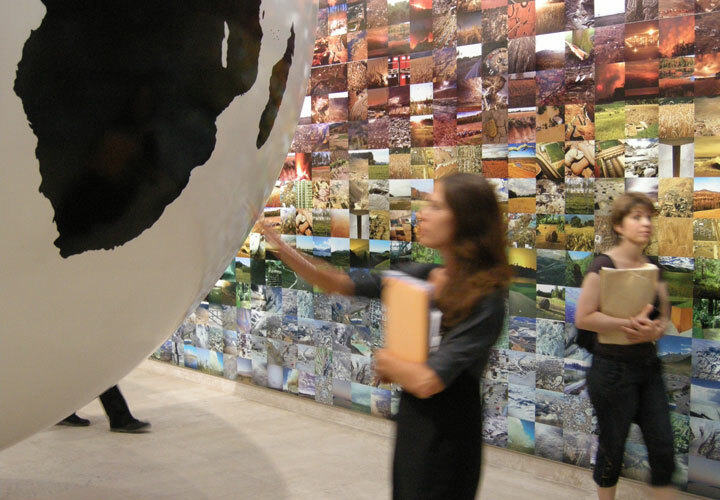 In the third room, we presented seven Danish sustainability projects showing the Danish attempt to act in a more hands-on way. 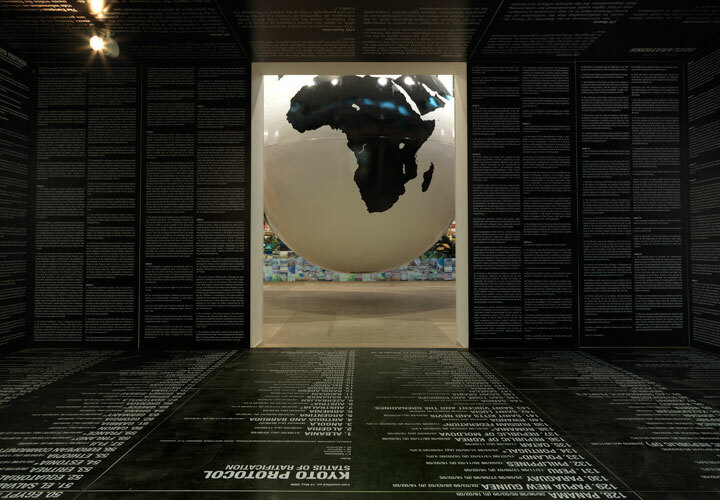 The walls were covered with data and drawings and in the middle of the room there was a giant table for information and surfing the internet. This provided an opportunity for guests to take the discussion further and look for more information. 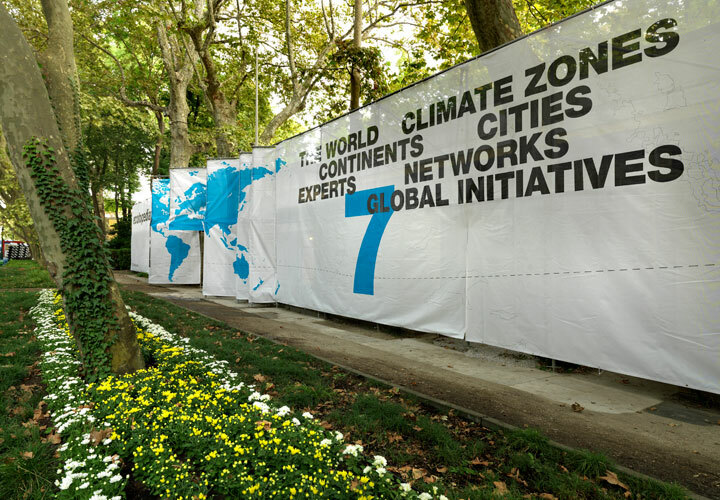 The main idea was that the global challenge calls for international action as well as national and individual commitment.